The Faculty of the Built Environment in conjunction with the City Futures Research Centre recently hosted a planning forum with guest speaker David Broyd, Group Manager, Sustainable Planning, Port Stephens Council. David has recently prepared a paper titled “Where to Planning?” which was formulated to generate discussion on pressing urban planning issues in New South Wales. With the advent of the 26 March State Government elections, the organisers took the opportunity to shed light on the real issues to inform the audience and the wider community. The forum took place at the Hugh Dixson Theatre at the University of New South Wales (UNSW) campus on Wednesday 16 March. The audience was comprised of primarily planners from all age groups and across a range of fields including government, consultants, and there was also a young planners contingent. The audience had the privilege to hear the views of planning experts in response to the issues presented from David Boyle’s paper. Why is planning so hard? The focus of the discussion evolved primarily around the inabilities of the planning system to deliver a pragmatic approach to Sydney’s geographic and social constraints. Ken Morrison from the Property Council of Australia emphasised there is an evident lack of funding available to implement effective changes for the planning system. Representing the peak body of the development industry, he also referred to the housing supply issue, where only half of the required homes are being build to meet the demand for a growing population. More transparency in the planning system is a pressing issue according to PIA President Tony MacNamara. One of the fundamental flaws in the current legislation is that there are two systems operating concurrently. According to MacNamara, The Environmental Planning and Assessment Act is being underminded by other planning loopholes including Part 3A, which provides incentives for developers to use a ‘back door’ approach in obtaining approval for major projects. John McInerney from City of Sydney also emphasised David Boyle’s view that the Commonwealth Government should have a more intimate role and influence in the planning processes on the state and local government levels. John suggested there be an overhaul in the Department of Planning, which should be implemented as soon as the new Minister for Planning coomences his term. During the course of the forum, the audience had opportunities to express their viewpoints. Chris Johnson, from the Department of Planning concurred with Broyd’s position that the Federal government needs to play a more central role in the development of our cities. Also, Gary Shields, Director of GSA planning, highlighted a fundamental flaw in the assessment process when an application is determined by Councillors. The Councillors are politicians and not “overnight decision makers”. Other audience members chuckled, but the panelists found it hard to provide sound responses. Panelist members suggested that Part 3A assessment for major projects and the introduction of the Joint Regional Planning Panels were effective functions of the planning system. The night ended with a message to young planners on how they can get involved in improving the planning process. “Don’t give up” were words expressed by a panel member. Indeed all planners need to be vigilant, while also attempting to fix the mistakes of the past. The fourth year planners are almost there…work experience is coming to a close, only a few more weeks to go! The year has encompassed many different elements (learning to manage the workload, liaising with clients, going on site visits, attending meetings and preparing reports to name but a few) of which when pieced together create a truly valuable experience. To have been given the opportunity to be part of the planning profession before having graduated is an opportunity that we are all very fortunate to have had. I have gained a greater understanding of how all of the theory which I have learned at uni over the past few years is applied in practice. I have had the opportunity to develop my skills and learn from many experienced professionals- some of whom are past graduates of the BPlan. As well as this, those who have mentored me while on work experience have been instrumental in my progress throughout the year. I have experienced first hand the importance of professional development from those who have mentored me, as it is under their guidance that I have been able to reflect and enhance my skills. Even though work experience is coming to a close, the journey continues as planning is forever changing and the management of this change is fundamental to reaching good planning outcomes for the community at large. I will absolutely take all of the skills which I have learned over the course of work experience with me as I go back to university to complete the BPlan. It is with positivity and enthusiasm that I will approach the final semesters of uni, as work experience has given me a taste of the profession- I am now even more so keen to graduate. I look forward to contributing everything which I have learned as a graduate and perhaps join those who have mentored me as a professional. I hope you all had a wonderful summer break! Welcome to all the new students at UNSW, especially those commencing the BPlan- good choice! It is that time of year again… uni is just beginning for the year and everyone is catching up after the summer break. However, the work experience program continues for the fourth year students. We are now 9 months in and the time has absolutely flown by. It has been a great experience to be immersed in the planning profession everyday for the past 9 months, as it has afforded me a greater perspective of the industry as a whole and allowed me to gain direction as to the area of planning I aspire to be involved in. I have had the opportunity to witness different aspects of planning including policy and development assessment. This has allowed me to see how planning policy is formulated and how this transfers to the development assessment process, where it is used to determine whether a development application is permissible. This is one of the great aspects of the BPlan as it gives you the opportunity to see planning in practice! I have also gained great insight into the profession as I have had the chance to see planning issues arise and become resolved so that a good outcome is achieved. This has been a very rewarding experience and a privilege to be part of. In addition to this, having the opportunity to be involved in discussions at meetings has been a beneficial part of work experience. I have also been given the responsibility of managing my own projects. There have also been some great site visits along the way- always a great adventure! The work experience component of the degree sets it apart from other undergraduate planning degrees as it gives students practical experience in the industry before graduating- and it looks great on your CV! It also gives you a greater perspective on planning issues which you can take into the final year of the degree, and is a wonderful way to make contacts within the industry! That’s all from me for the moment- I will definitely keep you posted and let you know what transpires over the next few months in the forever changing world of planning. Graffiti is increasingly being recognised by both professionals and the general public as having the potential to be used as a legitimate form of public art. Graffiti’s history is firmly ingrained in the streets, providing the art form with a unique suitability for use in public domain projects. One of the challenges faced by planners, artists and local authorities is that of differentiating between the legal and illegal forms of the practice, as well as educating the public on how the graffiti sub-culture can positively impact upon the community through youth engagement, development of young artists’ skills, and increased community pride and ownership. 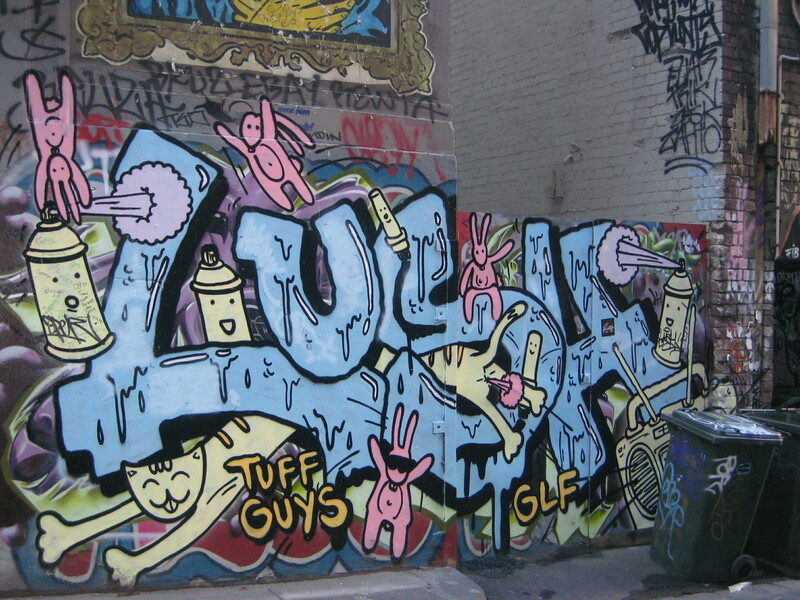 This thesis will strengthen the case for the use of graffiti in public art projects in Sydney through a survey of existing policies, initiatives and projects relating to graffiti management in metropolitan Sydney. It involves an examination of tools and resources available to local councils that provide a context for the principles and actions necessary for implementing successful graffiti projects. National and international case studies offer examples of how graffiti can be used successfully within the public art context with important implications for Sydney. 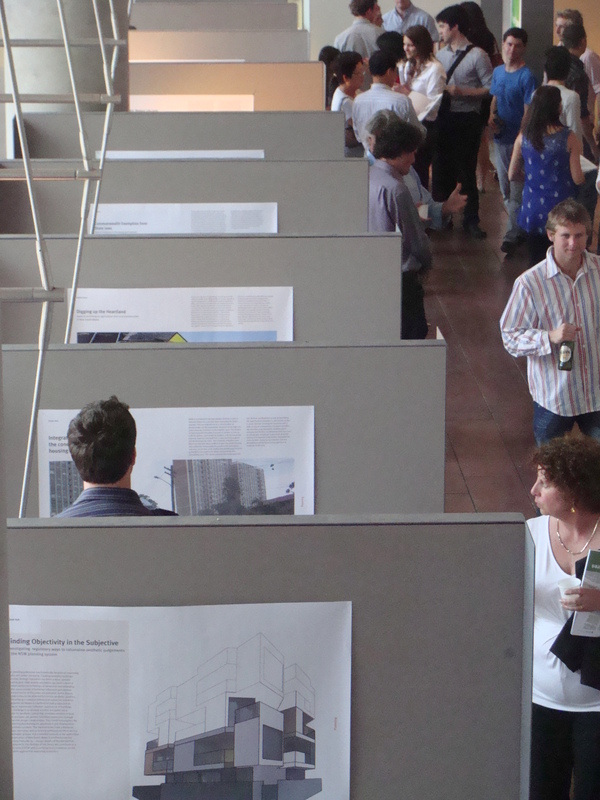 The collective sigh of the 5th Years was audible last Tuesday as posters went up and hair was let down. 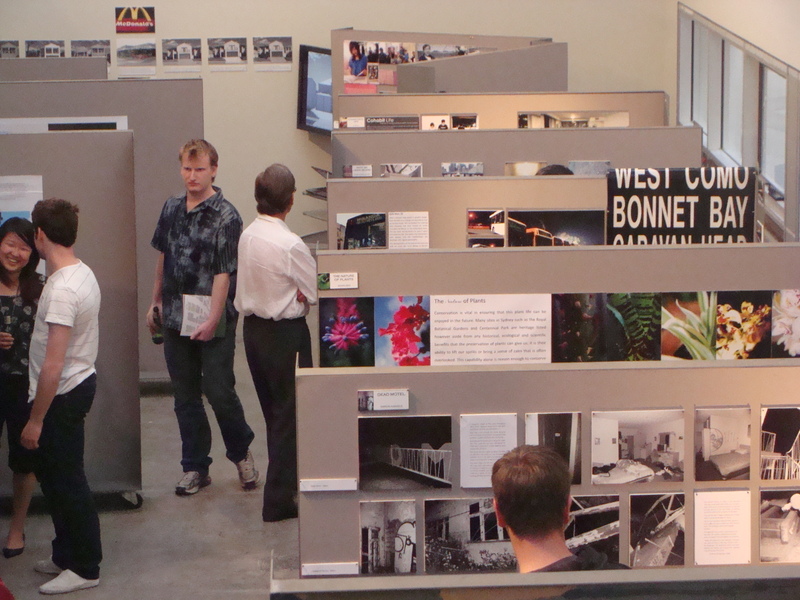 As part of the thesis project, each 5th Year had to produce an iconic image that best represented their thesis. These images were then blown up and presented next to each thesis abstract, over which the students, their parents and the academic staff pored and pondered. Although we had grumbled about preparing the iconic images during the intense study environment that was the thesis project, the fruits of our labours were realised in the exhibits and the associated end-of-year booklet. If you haven’t yet grabbed a copy of the ‘Urban Futures’ booklet (how aptly titled), make sure you get your hands on one. It certainly inspired some envious comments at work. Of course, it wasn’t all about the 5th years. 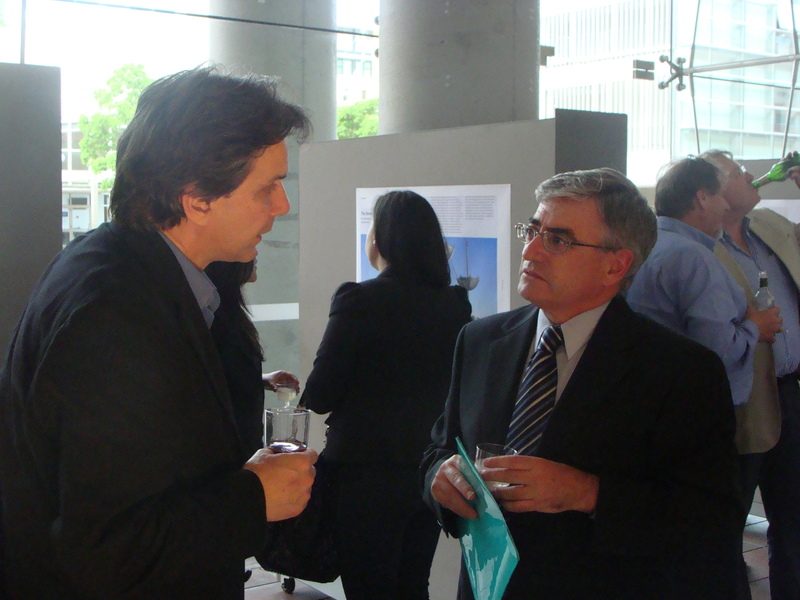 The exhibit included amazing work from the students in the Urban and Regional Design, Images of Sydney and History, Heritage and the Built Environment electives. 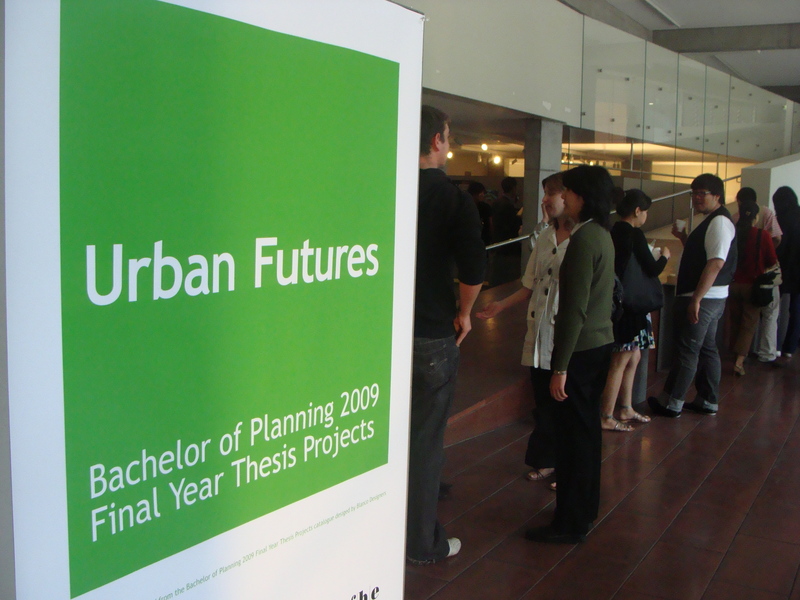 Urban Futures was thus a showcase of the talent within the Planning branch of the Built Environment, and I know that all of the students that I spoke were impressed with what they saw. 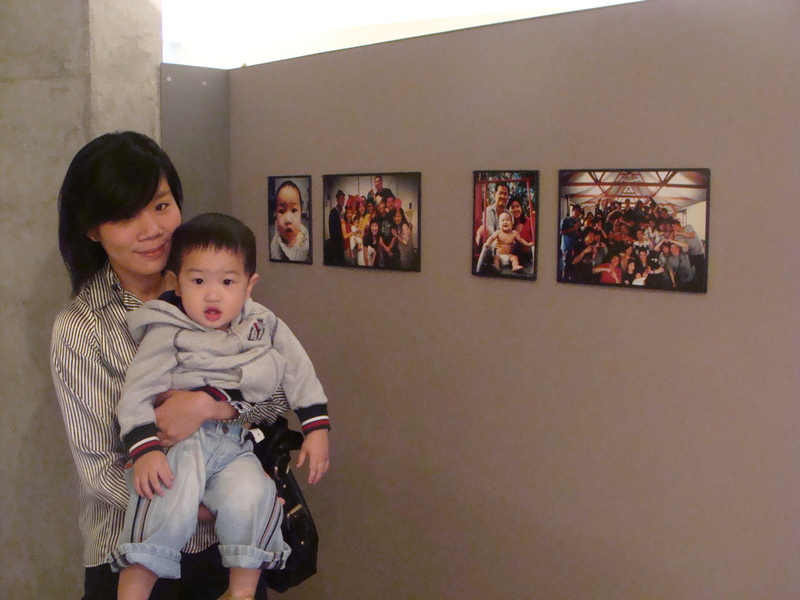 My parents also enjoyed it (and how rare is it to find something that parents and students enjoy?). Many thanks to the academic staff and administrative support staff for organising and encouraging this event and others like it at UNSW – it feels nice to know we leave with more than just a degree. To all planning students, best of luck in the future! And to the 5th years – we made it! Six months ago I was submitting an assignment about the Metropolitan Strategy, fast forward six months and I find myself in a boardroom where the Metropolitan Strategy is being discussed by a group of Planning professionals- welcome to the work experience program! The last time I wrote my blog, I was about to embark on my work experience program at the Department of Planning. I can now confidently say that I am four months in. If I had to sum it up in a few words overall, I would say that it has been a massive learning experience. My prior two years of study at Uni have given me a really good grounding in Planning. The work experience program has given me the opportunity to apply this knowledge in the work place, whilst acquiring new skills as well. In addition, one of the aspects from the past two years of Uni which has been beneficial in the work place is the array of skills which I have acquired while undertaking group work. It is that time of year again, for most Uni is ending for the year and summer is just around the corner. However, for those of us in third year who are on work experience life has been very different for the past four months. We have had many opportunities to witness different aspects of planning in practice, inclusive of meetings with different stakeholders, site visits, report writing, research, attending seminars and training days. I have had many great opportunities while on work experience, ranging from the great projects that I have had the chance to work on, the Young Planners group which I have been involved in and participating in organised sport teams. I have also had the fortune of meeting many fantastic people within the industry, including some past graduates of the BPlan! Lastly, I have enjoyed every minute of working as a Student Ambassador. Throughout the year I have had the opportunity of meeting many prospective BPlan students at the UNSW Open Days, I hope to see you around next year!